Inch by inch, step by step, the Knight of Pentacles never appears to be in a hurry to go anywhere, but he always seems to make the most progress in the long run. In the fable of the tortoise and the hare, the Knight of Pentacles is the slow-moving tortoise, to the brash and cocky hare, who is a cross between a Knight of Swords and a Knight of Wands. Don’t fault yourself today if you only accomplish one important thing on your list. It has been shrinking, but it is is likely you keep adding new To-Do’s at the bottom, to be dealt with once you have completed this phase. Take your time and do the job right…words to live by during a Mercury retrograde. The Knight of Pentacles is a solid individual, completely reliable, practical, and methodical. If he says he will be there, he will be there…on time, and perhaps even slightly early. It is in your best interest at the moment to keep plodding along; know that you will reach your destination at precisely the right time. Keep plugging away and do things right the first time; you’ll be glad you did. 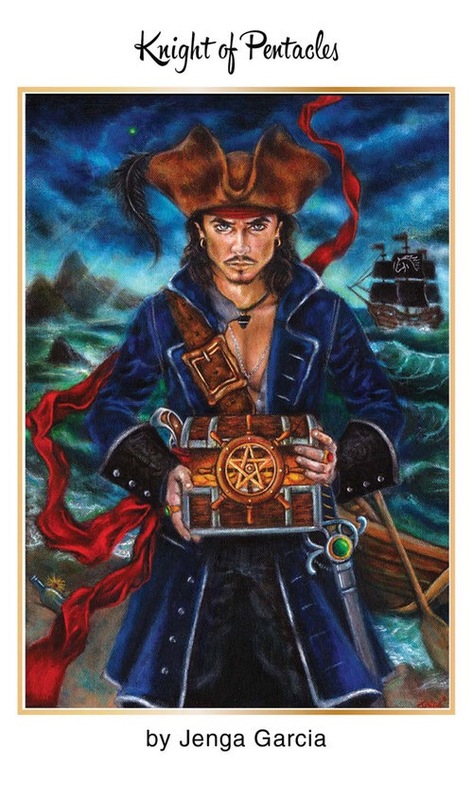 This entry was posted in Card of the Day, General Tarot, Patreon, Readings, Weekly Tarot Guidance, YouTube Videos and tagged Guidance, Knight of Pentacles, Path, Reading, Tarot.